Natho Kahri Sindhi Comedy Artist. He was belonging to Badin Sindh and he was most popular Comedian Artist and Singer. He create great name in local social Media. This Artist was most successful Comedian in Sindhi dialect specially in District Badin, Thatta, Thperparker and other districts of Sindh. He was most popular Sindhi Comedy Actor of Sindhi Comedy Fankar. This Comedian was very famous on Sindhi Audio Cassettes, peoples like his comedy well. He has performed in programs on KTN Channel and he has also performed shows in other Sindhi Channels and functions also Sindhi Comedy Songs. This Comedian performed well in Local Mela, Mehfils, and he performed in Marriage Ceremonies and other programs in Sindh. Natho Kahri entertained the audience with jokes in Sindhi Language. He was called a great comedian singer of Sindh. Lot of Audio and video programs released in comedy but his old jokes and narrated comedy dastan is still more demanded in Sindh. I have selected most popular Sindhi Comedy of Natho Kahri. 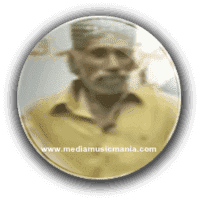 He was most famous Artist and singer in Sindhi root areas village to village and City to city. He performed well in open programs, Social Media, Sindhi Comedy shows gatherings and other invited tribal gatherings in Sindh. He was very master in changing of voices of different peoples, animals and he had copied other voices dialogues.